British Labrador Retrievers and English Setters. Bird dogs are my passion. Growing up I spent nearly every weekend in the grouse woods of northern Minnesota. When I moved to the prairie pothole region, I discovered the religious experience of hunting behind a classy setter. And, when your home is smack in the middle of the Central Flyway, surrounded by the lakes and wetlands that provide summer nesting habitat and spring and fall resting places for migrating waterfowl…well, you fall in love all over again. I call it my trifecta: the setter points a rooster pheasant, I aim well and shoot, and the Labrador delivers the bird to hand. 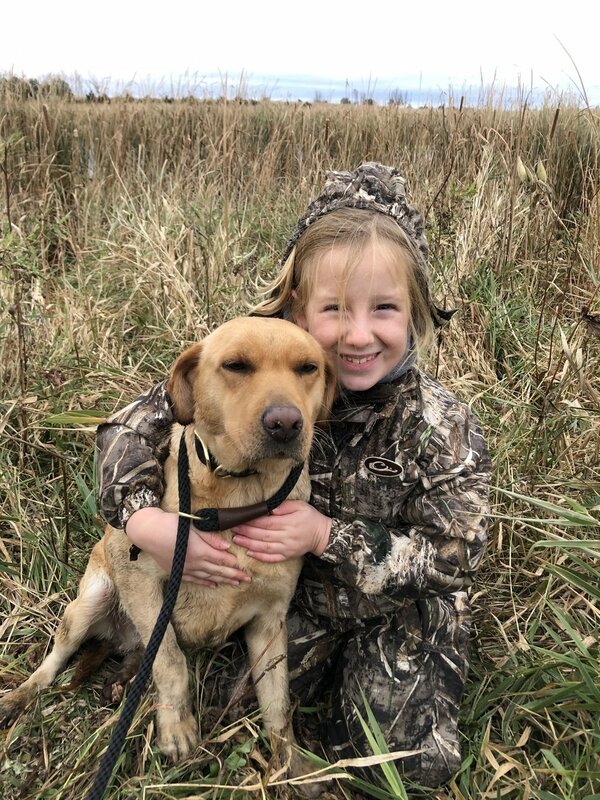 As much as I love those moments, my true fulfillment comes from clients who rave about their outstanding pups, sparking the passion in new hunters, and helping clients get the most out of their bird dogs.